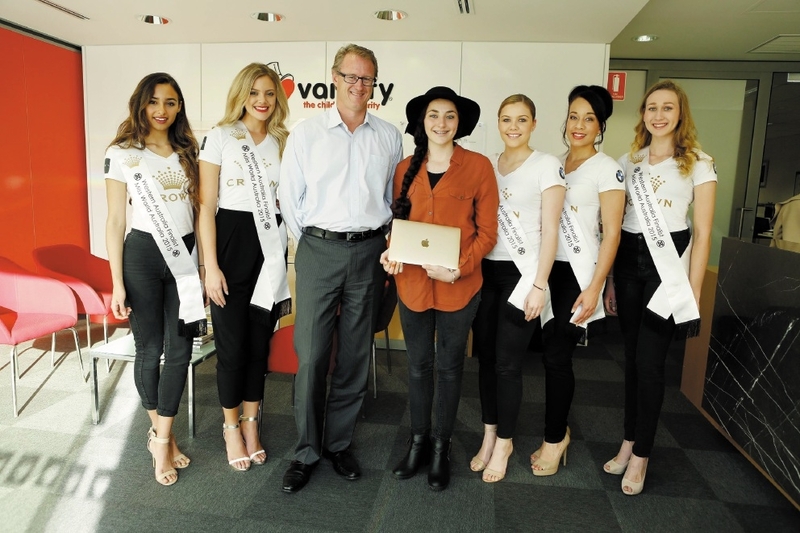 Chief executive of Variety Michael Pailthorpe and Lilyan Smith with Miss World Australia national finalists. The 15-year-old has autism, a severe anxiety disorder and was recently diagnosed with severe scoliosis. Variety WA, which is based in Burswood, granted a |MacBook for Lilyan, which will allow her to practise her writing skills, access online school resources and allow her to concentrate on what the the teacher says during class time. Lilyan will also be able to present assignments on the computer because poor fine motor skills make handwriting difficult for her.